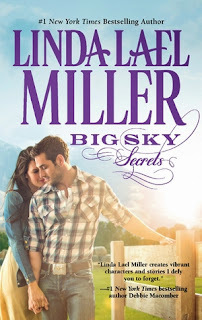 My thoughts: Oh...I'm so bummed that this is the final book in Linda Lael Miller's Swoon Worthy Cowboy series (as I like to call it!!!). I have absolutely loved this series - each book brought us hot cowboys that found their happily-ever-afters with down-to-earth gals that just seemed to be their perfect matches. In this latest (and final) installment, we get Landry and Ria's story. I really liked this book and the fact that while the chemistry between Landry and Ria is hot and heavy, their relationship is not the main focus of the book. There are many other issues going on in the book that these characters need to deal with, including Ria's niece who shows up at her house after running away from her controlling mother, the runaway bulls that trample Ria's flowers; Landry's father showing up unexpectedly to name a few. I loved all the characters in this book, from the main characters to the minor ones. Landry's butler, Highbridge is hysterical - oh how I would have loved to have seen a picture of him in his "duds" for the rodeo! And then there's Ria's sister, showing up to the dusty countryside in all white! One of the things I love about these small-town series is how everyone comes together to stand up for their own. There is an instance when quite a few show their disgust when someone picks on Ria. The romance itself between Landry and Ria is sweet, endearing, and even funny at times. It seems the perfect ending to a great series and I can't wait for Linda Lael Miller's next trilogy to come out - which is set to be released in the Spring of 2014. 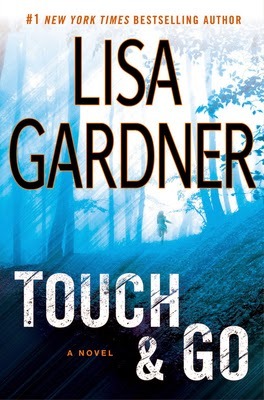 My thoughts: I really enjoy Lisa Gardner's books - they are excellent thrillers and this one is no exception. 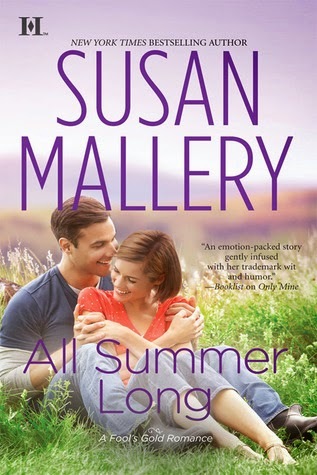 While a stand-alone, a few of the characters from her DD Warren series do make appearances in the book, in particular, DD and of course Tessa, who we first met in Love You More. This story pulled me in from the beginning and held me captivated the whole time. Alternating from three of the main character's points of view, the story moves at quite a fast pace and is full of twists and turns throughout the book. All of the characters are equally compelling and intriguing, and you really feel for the Denbes while they are being held captive. But just are interesting are the bad guys that held the Denbes captive. As the story progressed, and Tessa and Detective Wyatt were interviewing people and investigating possible motives, I found myself constantly changing my mind as to who was behind the abduction - I love when the authors throw in those red herrings!!! I remember when I read Love You More, that I wanted more of Tessa Leoni and am glad to see she got her own book. Now I hope we get even more of her and that she gets her own series! Audio Thoughts: Elisabeth Rodgers does a great job with this audio - her timing is spot on and she puts just the right amount of tension and emotion in her voice when needed. This is the third audio book I've listened to her narrate recently and find that she does well with psychological thrillers. 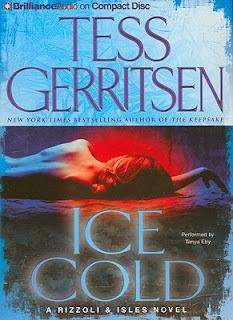 She's definitely on my list of top narrators! 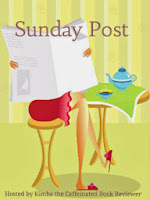 Another crazy week that resulted in little to no reading time. Between getting last minute holiday stuff done before heading to my in-laws for Christmas Eve and Christmas Day and then getting my house ready for my family's Christmas celebration today - I've been a bit frazzled!!! Today we're hosting 23 people - 14 adults and 9 kids - and hubby, my rockstar, is doing all the cooking! 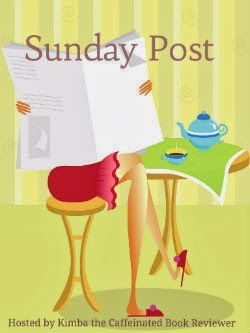 While I'm excited to see my siblings and their kids, I have to say I will also be glad when tomorrow comes and I can finally sit with my feet up and just read all day! I'm also quite excited that hubby and I have decided to have a quiet night in for New Years. He has to work that day and I plan on just reading and catching up on the blog. 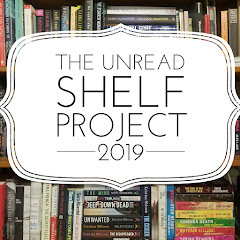 I still need to put together my end of year post and my goals post for 2014 as well as finalize what reading challenges I will be participating in for the upcoming year. I'm super excited that the next Bout of Books will be the first full week in January - I'm hoping that will kick-start my reading for the new year. Will you be participating? Hope everyone has a happy, healthy and safe New Year!!! 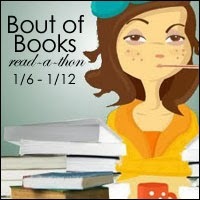 * Bout of Books 9.0 Sign Up! Bout of Books 9.0 Sign-Up! I'm not sure what my goals will be at the moment - a lot will depend on how much reading I get in between now and then. Same goes for what books I plan on reading. I will post a master goal post once Bout of Books 9.0 starts. Let me know if you plan on participating in this fun read-a-thon! Now, after years in Nashville as an established songwriter, Jenny's drawn back to Chesapeake Shores to collaborate on a Christmas production, and to make peace with the past. As if that's not challenging enough, Caleb Green, the singer who broke her heart, has followed her to town, determined to win her back. 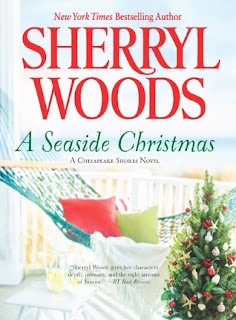 My thoughts: I was so excited when I saw that Sherryl Woods was coming out with another book in her Chesapeake Shores series and that it was a Christmas story only made it that much better. I love this series and was quite bummed when Sherryl Woods had made the decision to end it with the previous book, The Summer Garden. Luckily, she listened to her readers and decided to keep writing. This latest installment about one of my all-time favorite families, the boisterous and noisy O'Brien clan, is all about second-chances and forgiveness that just happens to occur during the holiday season. Jenny has come home to Chesapeake Shores to mend her broken heart and to also help her Aunt Bree with the music for her Christmas show. At the same time, it would also be helpful if she took the time to work on the rift between her and her mother. Caleb is the one who broke Jenny's heart and he winds up in Chesapeake Shores not too long after Jenny, realizing he's made a big mistake in letting her go. A popular singer, he's well-known, so it's not surprising that one-by-one as they run into him, the O'Brien all warn him if he hurts Jenny he will have to answer to them. Bree, ever the match-maker, schemes to get Caleb to sing the songs for the show so that Caleb and Jenny will have to work together. Sparks are definitely flying, but can Jenny forgive Caleb for his past mistakes so that they can have their happily-ever-after? I really loved this story. I loved that we got to see many of the O'Brien clan, including my absolute favorite, the matriarch of the family, Nell. There are many heartwarming scenes throughout, especially the one where Caleb and the O'Brien men decorate Jenny's lawn with Christmas decorations. Be prepared to laugh and tear up a bit throughout the book. I only hope that this is not the last we see of this fun, boisterous family. Can't believe Christmas is almost here. I have all my shopping done - just need to wrap all the gifts. Yesterday I did some baking - had to finish making fudge and I wasn't alone...it seemed quite a few of us on twitter were all making fudge. I make two kinds: regular chocolate fudge and a peppermint fudge that uses dark chocolate and then crushed candy cane pieces sprinkled on top. I made both last year to bring to my in-laws for dessert on Christmas Eve and they were a hit (and quite easy to make so I don't mind making them again!). Happy holidays to all...safe travels for those that are traveling and enjoy all the family time. The cheer in Fool's Gold, California, is bringing out the humbug in dancer Evie Stryker. An injury has forced her to return home to her estranged family. So she won't add to the awkward scenario by falling for the charms of her brother's best friend, no matter how tempting he is. When she's recruited to stage the winter festival, she vows to do as promised, then move on, anywhere but here. Jaded lawyer Dante Jefferson is getting used to the town he now calls home, but the pounding of little dancers' feet above his office is more than he can take. When he confronts their gorgeous teacher, he's unprepared for their searing attraction. Evie is his best friend's sister—off-limits unless he's willing to risk his heart. Dante has always believed that love is dangerous, but that was before he had to reckon with the magic of a certain small town, where miracles do seem to happen…. My thoughts: I love reading holiday-themed books - it just helps put me in the holiday spirit and this holiday-themed Fool's Gold installment came at the perfect time. As I've been trying to catch up on this series this year - a goal I sadly realize is not going to come to fruition - at least I get to end up having read all about the Stryker family, who may just be my favorite Fool's Gold family. This book is Evie and Dante's story - two people who would rather be anywhere else than in Fool's Gold, the small, family-centric town, that not only loves it's festivals but goes all out for the holidays. Deciding to stick together to get through the holidays, the two start spending lots of time together, but with each having separate plans of leaving Fool's Gold within the year, they agreed a long-term relationship was off-limits. Little did they know their hearts had other plans! I enjoyed this story. There's a little bit of everything - a love story, a story of forgiveness (Evie and her family), the town once again rallies to help when Evie runs into issues putting the holiday show together - all the things I love about this series. Familiar characters make appearances and as usual there are some new faces as well. I've really loved getting to know the Stryker family and can't wait to see what Susan Mallery has in store with the rest of this series. I love reading holiday stories and love when authors add a holiday-themed book to their series. This one just seemed to fit perfectly on all levels - Evie's story almost needed the holiday magic to make it that much more endearing. How do you feel about holiday-themed stories within series? Firefighter Chantal (Charlie) Dixon grew up an ugly duckling beside her delicately beautiful mother, a feeling reinforced long ago by a man who left soul-deep scars. Now she has good friends, a solid job and the itch to start a family—yet she can't move toward the future while she's haunted by painful memories. 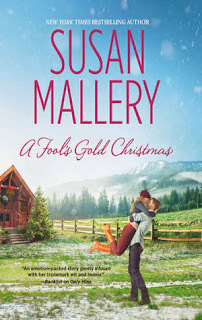 My thoughts: I was definitely right when I said I was going to love this latest trilogy in the Fool's Gold series involving the Stryker brothers and this most recent one, I think, is going down as my favorite. Charlie and Clay just stole my heart as their story was told and we really got to know them. What I loved about this love story is that while at first glance Charlie and Clay appear to be completely different, they really are very much alike. Both have trouble being taken seriously. No on believed that anything horrible could happen to tough-girl Charlie and everyone assumes that underwear model Clay is just too pretty to be smart or even reliable. But, as they get to know each other, they come to appreciate each other for who they really are. Clay appreciates Charlie for being strong and honest. She listens when he discusses his plans for the future rather than laughing at him. And Charlie appreciates that Clay recognizes her beauty as she is, without all the fuss and bells and whistles that other females go through. While neither one was looking to fall in love, it certainly was fun watching as they did. There are a few new characters introduced in this book and some familiar ones continue to pop up. As not all the characters we've met so far have had their stories told, it will be interesting to see who gets paired up with who in the upcoming books. My thoughts: Oh, Stephanie...you never fail to make me laugh with all your crazy antics that you seem to find yourself involved in. In this latest installment, it's clear that you are no closer to figuring out what you really want to do with your life career-wise than you are to deciding what man you really want to be with. Stephanie's latest case has her trying to locate Uncle Sunny - who happens to be Joe's godfather - which of course means that Joe's grandmother Bella is sure to show up once or twice with her crazy curses! On top of that, Ranger asks for her help when older women start showing up dead - the common thing being they all play bingo. Oh - and there seems to be a giraffe running around town and Lula has named him Kevin. She feels bad for him and goes around leaving him food where she thinks he might show up. I love the relationships between all the characters - they are fun, and make the book that much more enjoyable. Even the ones that are don't get along are fun to listen to as they banter back and forth. There are the swoon-worthy men - Joe and Ranger - as well as the comical characters - Lula and Grandma Mazur. It's these types of characters that really make the series memorable and have me looking forward to the next book. I'm not sure how long Janet plans on having this series go on for, but I do know there is at least one more book, due to come out next year. Will that be the end? How does an author know when a series has come to an end? 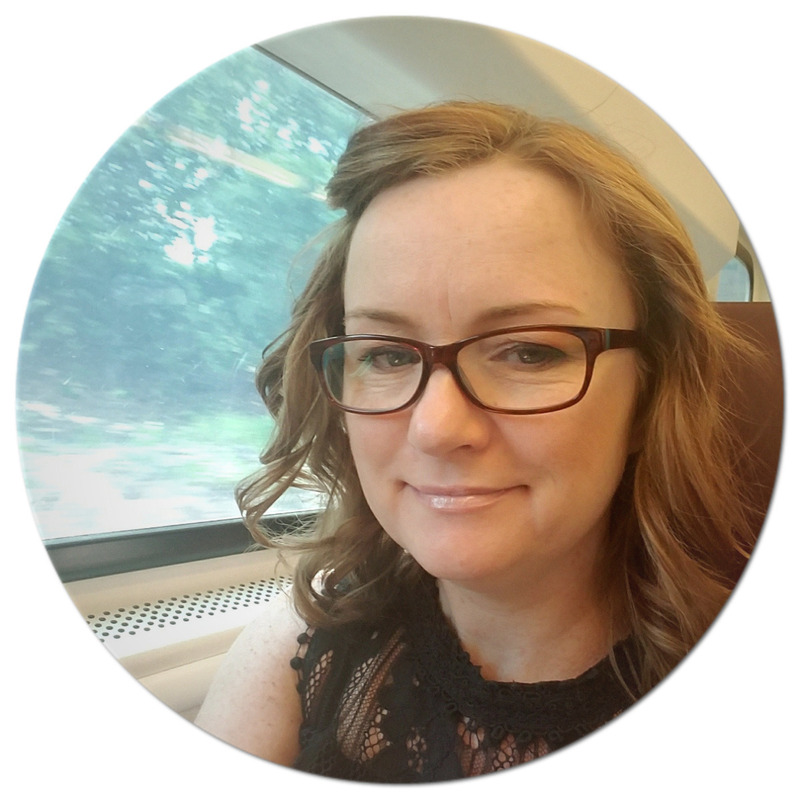 Audio Thoughts: Once again Lorelei King brings her A-game to narrate the latest installment of this series. How she manages to maintain the same voices for each of the characters is mind-boggling to me, but so very effective and appreciative! She really does rock as a narrator! A spur-of-the-moment ski trip becomes a bone-chilling nightmare when a wrong turn leaves Boston medical examiner Maura Isles marooned—far from home and help—in the snowbound Wyoming mountains. Seeking shelter from the cold, she and her traveling companions stumble upon Kingdom Come—a remote village of identical houses that seems to have become a ghost town overnight. But the abandoned hamlet has dark secrets to tell, and Maura’s party may not be as alone as they think. Days later, word reaches Boston homicide cop Jane Rizzoli that Maura’s charred remains have been found at the scene of a car crash. 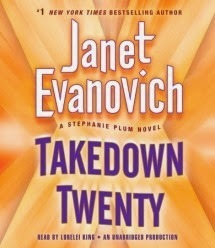 But the shocking news leaves Jane with too many questions, and only one way to get answers. Determined to dig up the truth, she heads for the frozen desolation of Kingdom Come, where gruesome discoveries lie buried, and a ruthless enemy watches and waits. My thoughts: As I make my way through this series, I have to say that I think this has been my favorite book so far. Right from the very beginning, I was hooked and found myself totally immersed in the storyline. I was also excited to get to this book because it answered a few remaining questions I had when I read the latest book in the series, Last to Die, last year. This book had me literally chilled to the bone at times - there were so many twists and turns and at times the story took on a real sense of horror. The whole cult thing was utterly fascinating and once again, Tess really does her research on this backstory. All of this, coupled with the ending, really has this book sticking with me long after I finished it. What I really loved about this book is that it really shows the friendship that has developed between Jane and Maura. Jane has a really hard time when she is first told that Maura is dead. She heads out to Wyoming to look into things and even after she gets back to Boston, isn't willing to leave things alone. At the same time, Maura, still alive and fighting for her life, makes a call to the one person she knows can help her - Jane. From the non-stop action to the character development, this book has been the best in the series, in my opinion. I look forward to reading the rest of the books, but am not sure anything can top this book. Do you have a favorite in this series? Audio Thoughts: This is the second audio book I've listened to with Tanya Eby narrating and I really like listening to her. 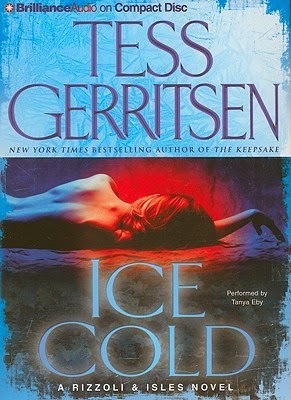 She is able to create unique voices for the characters and infuse just the right amount of tension and emotion when needed - which is good for a thriller. It was quite a busy week, with very cold temps here in NY and we got quite a snow storm yesterday. It was lovely to watch and I was glad I didn't have anywhere to go - other than having to take the dogs out, I stayed in, reading and crocheting. I will say the dogs absolutely love the snow and I only wish our yard was fenced in so I could let them out to play - that's on the list of things to do in the spring. A few of you asked to see a picture of the candle-thingy I mentioned in last week's post and I really had meant to included the picture but totally forgot, so I'm including it in this week's post. I've only made the one so far, but will be making 5 more to put in the windows on our enclosed porch - I think they look quite festive and since they aren't too Christmasy, I think they will be perfect all winter long! 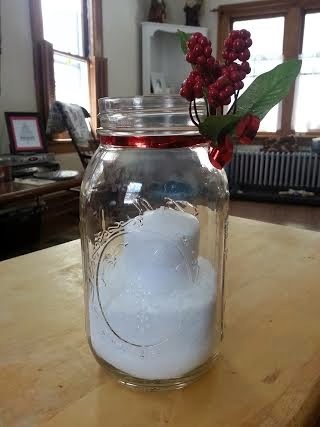 All I used to make it is a large mason jar, filled it a quarter of the way with epsom salt and added a pillar candle. Around the neck of the jar, I tied a piece of red ribbon and added a piece of holly berry with a leaf (I bought a vine of holly and cut a little piece off). Easy peasy!! !